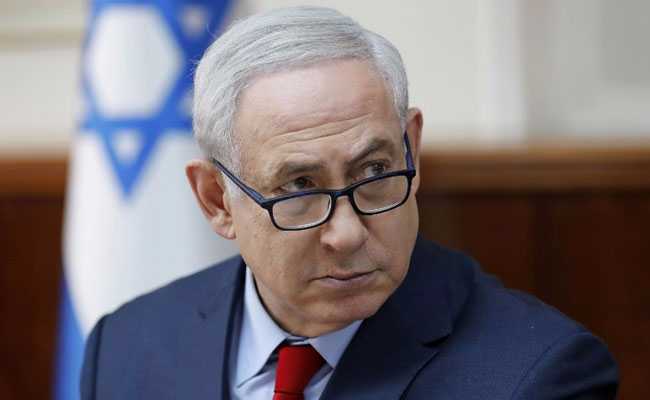 Netanyahu's public comments appeared to reflect a desire to show support for a major ally, but also concern that choking off funds would deepen Palestinian hardship and could put Israel and militants on a course for war. Jerusalem: Israeli Prime Minister Benjamin Netanyahu trod carefully on Sunday around a threatened U.S. aid cut to Palestinians, stopping short of backing a funding halt as he repeated calls for a U.N. agency that helps Palestinian refugees to be dismantled. With Palestinians seething over U.S. President Donald Trump's recognition last month of Jerusalem as Israel's capital, he threatened on Tuesday to withhold aid money, accusing them of being "no longer willing to talk peace". On Friday, in a report denied by a State Department official, the Axios news site said Washington had frozen $125 million in funding for UNRWA. The U.N. agency, founded in 1949 to aid Palestinian refugees, is a main provider of educational and health services in the Gaza Strip. Netanyahu said UNRWA was "an organisation that perpetuates the Palestinian problem." "It also enshrines the narrative of the so-called 'right of return'. Therefore, UNRWA should pass from the world," he told a weekly cabinet meeting. Netanyahu made almost identical comments about dismantling UNRWA in June - a message he said at the time he had conveyed to the U.S. ambassador to the United Nations. Praising Trump's "critical approach" on the aid issue, Netanyahu steered clear of advocating a suspension of funding for the Palestinians. He said U.N. money for them should be transferred gradually to its global refugee agency UNHCR "with clear criteria for supporting genuine refugees and not fictitious ones, as is happening today under UNRWA." Chris Gunness, an UNRWA spokesman, said the refugee crisis was being perpetuated by "failure of the parties to deal with the issue..."
"UNRWA is mandated by the General Assembly to continue with its services until a just and lasting solution is found for the Palestine refugees," Gunness said in a statement. Palestinian officials have said Trump's declaration on Jerusalem, overturning decades of U.S. policy, meant he could not serve as an honest broker in peace negotiations that Washington has been trying to revive, and they condemned his remarks on a funding halt as blackmail. Palestinians want East Jerusalem as the capital of a state they seek to establish in the West Bank and Gaza Strip. The United States is the largest donor to UNRWA, with a pledge of nearly $370 million as of 2016, according to the organisation's website. Gunness said the agency had not been "informed directly of a formal decision either way by the U.S. administration" on cuts. In addition to its services in Gaza, UNRWA operates in the Israeli-occupied West Bank and in Jordan, Syria and Lebanon.